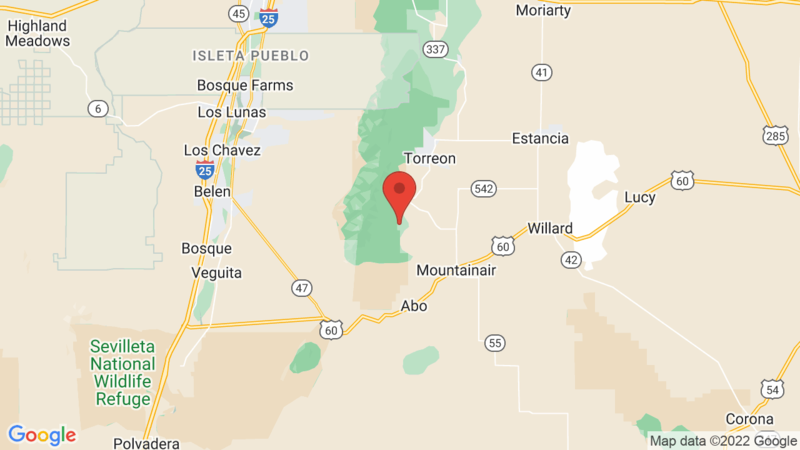 Nestled in the wooded foothills of the Manzano (the Spanish word for apple tree) Mountains; Manzano Mountains State Park is an excellent place for fishing, bird watching, photography, hiking and cross-country skiing. The park is also steward of numerous species of trees. The dominant tree of the area is the ponderosa pine, however alligator juniper dot the landscape. The Alligator juniper is named for the checkered pattern on the bark of older trees, which resembles an alligator’s hide. The Manzano Mountains play an important role as a raptor flyway. Some birds may fly 200 miles in a day and several thousand miles in a season. The park has a field checklist available to visitors who enjoy bird watching. Visted Manzano Mountains State Park Campground lately? We'd love to hear about your adventure. Did you find us useful? Did we forget something? Anything our community should know before heading out to Manzano Mountains State Park? Spend three nights there in late July. Warm days and cool nights and as far away from everything as you can get. Most of the campsites are developed, level with fire pits, picnic tables and some with shelters. Bathrooms with flush toilets but no showers. Electric at some sites, water spigots located throughout the park. Not a lot of big rig friendly sites. At the end of the road that for the last mile or so is gravel. Very quiet and virtually empty while we were there. If there were showers, I would give it 5 stars.